Home » Telugu » News » Why did Nani opt out of his icon Mani Ratnam’s film? Why did Nani opt out of his icon Mani Ratnam’s film? It was being reported that Nani was roped in too for this film and the actor has given his go ahead. Natural Star Nani has always said that he is an admirer of Mani Ratnam’s work and has been his fan since his childhood days. Many a times he has expressed his wish to work with the ace filmmaker on a film. 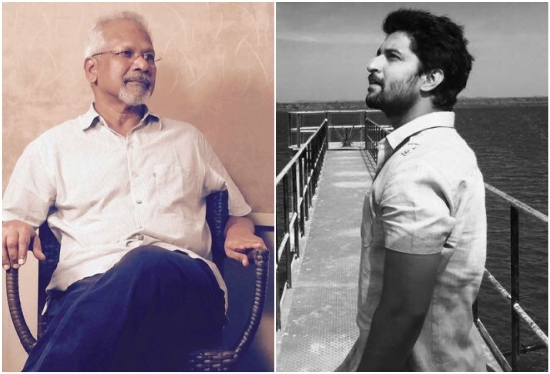 His wish came half true after he got a chance to dub for Dulquer Salmaan in ‘Ok Bangaram’ which was directed by Mani Ratnam. His wish almost got completely fulfilled after recent developments about Mani Ratnam’s upcoming film hit the news. It was being reported that Mani Ratnam has signed on Tamil actress Jyothika for his upcoming film which is said to be a genre he hasn’t touched in ages – action. Mani Ratnam has also roped in Vijay Sethupathi and Fahadh Faasil, and the latest addition to the ensemble cast is Silambarasan aka Simbhu. The production house, Madras Talkies, made an official announcement recently that the film will go on floors from January 2018 and will be released the same year, and the pre-production works on the film will soon begin. It was also being reported that Nani was roped in too for this film and the actor has given his go ahead but the official announcement did not have his name listed in the cast. The cloud over his casting in the film still stays on as neither of the parties, Nani or Mani Ratnam, have spoken about their association for this film. Buzz in the industry is that Nani could not allocate dates to this Mani Ratnam film since he has couple of films under his belt for which he has allocated most dates in 2018, and hence it became difficult to make changes in his schedule. Well, one can only wait and see if these two will join hands in the future!